Stenton was built and owned by James Logan, Secretary to Pennsylvania founder William Penn. The current 2.6-acre urban site was once the heart of an agricultural estate of over 700 acres. 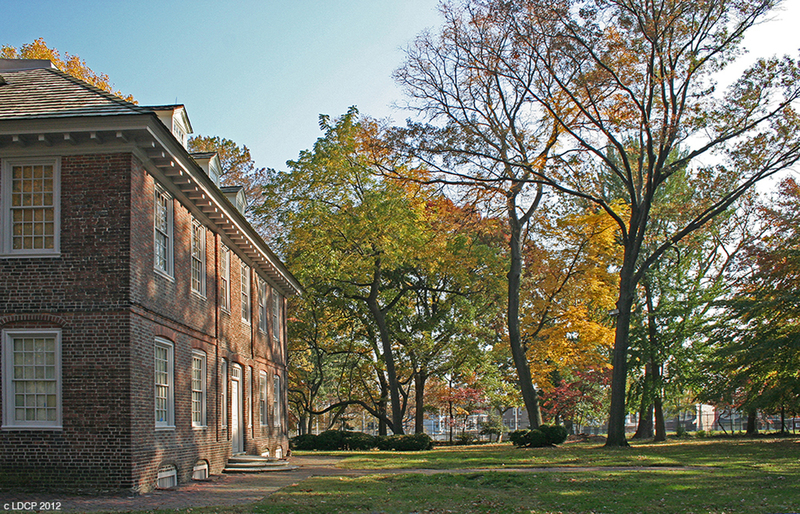 The Stenton mansion, built in 1730, is widely acknowledged as one of the most authentic house museums in Philadelphia and an important example of Colonial Georgian residential architecture. Stenton is administered by The National Society of Colonial Dames of America in Pennsylvania. In 2012 the NSCDA/PA embarked on a multi-year initiative to rejuvenate the Stenton landscape. Generous funding from the Hamilton Foundation enabled the initial stages of the project, including preliminary planning and design. LDCP has been engaged to plan and design the rejuvenation of the Stenton grounds. The future for house museums lies in the ability of their stewards to connect with a broad audience. Stenton has been very successful in creating programs that bring in visitors of all ages. As programs have developed and expanded, the role of the grounds has become more important, both programmatically and practically. Our approach to this project is values-driven. On the one hand, we are awed and inspired by the events that transpired within this property. Conversely, we are acutely aware of current context and pressures. Any changes must reflect both these perspectives, must be done with a light and careful hand, and with appropriate materials and techniques. We see this as the ultimate design challenge, and a very great privilege.